FMM Business Best Practices Seminar on "Search Engine Optimisation (SEO) for Prominent Online Presence"
Join this Seminar to improve the ranking of your corporate website, blog or Linkedin profile in search engines, ultimately leading to higher traffic and customer conversion rate. Participation fee is claimable from HRDF SBL Scheme. Traffic from search engines is important for websites particularly for online businesses, with the majority of visitors to many websites being referred by search engines. In general, websites that are higher ranked and frequently appear on the search results page will receive more visitors from the search engine's users. These visitors can potentially be converted into customers. - Are the Keywords Able to Rank? For the programme schedule, please download the brochure. 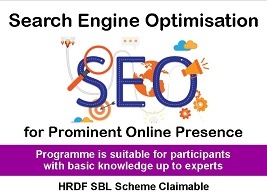 Programme is suitable for participants with basic knowledge on SEO up to experts who want to refresh their knowledge. * Early bird rate until December 21, 2018. Group discount is not applicable for early birds. # Normal rate effective from December 22, 2018. 10% group discount for 3 persons & more from the same company. - Participation fee is claimable from HRDF SBL Scheme. - All registrations carry a 50% cancellation liability immediately after a completed registration form or an online registration has been received by FMM. No additional cost for replacement participant. 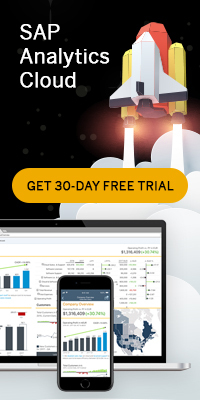 - Member's rate is applicable to Malaysian government officials. - All fees are inclusive of course materials, lunch and refreshments. - Seminar materials are available for sale at half price of full registration fee after January 10, 2019. 2. Register online by clicking the button "REGISTER NOW" which is located at the bottom of this event website. - Please complete all the steps of the online registration including the "checkout" section. FMM Business Best Practices Seminar offers opportunities to promote your products or services to approximately 60 - 100 participants from 60 companies. For more information, please download the exhibition and sponsorship packages. For accommodation at the Royale Chulan Damansara Hotel, please fax or email the completed hotel room booking form to resvn@rcdsara.com.my.